So,I got a lot of requests from friends to update my current skincare routine.I went through a bad skin phase 2 months back and then,I changed all the skin care products. 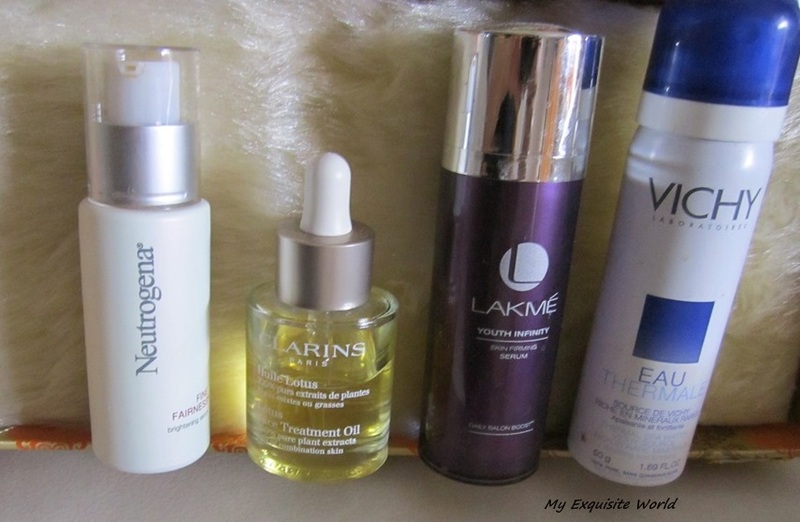 Below,I have mentioned the products that I have been using for past 2 months.My skin has definitely shown results and I can see it becoming clear and even toned!! 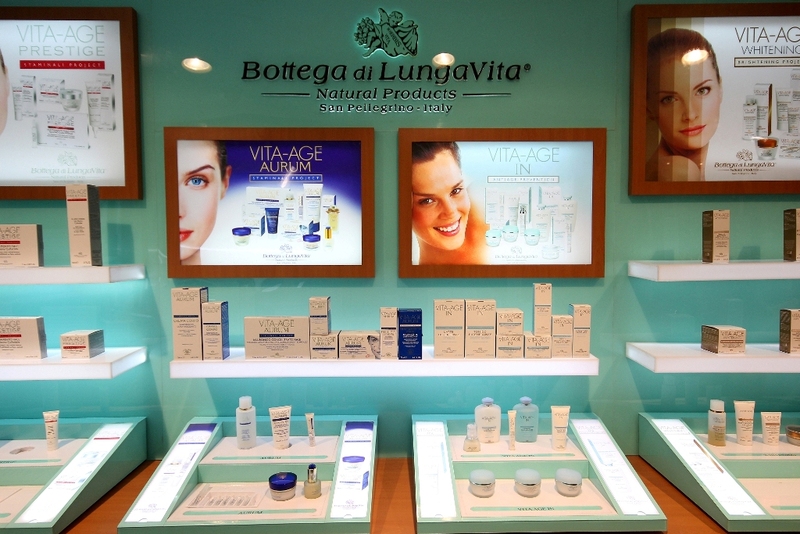 These are the products that I have been using religiously and the results are quite apparent on my face.I don’t break out quite often but I do get zits here and there once in a while which do take a lot of time to go.Also,Before starting this regimen,my skin has become quite dull,acnes have decreased and my skin has started looking patchy!! 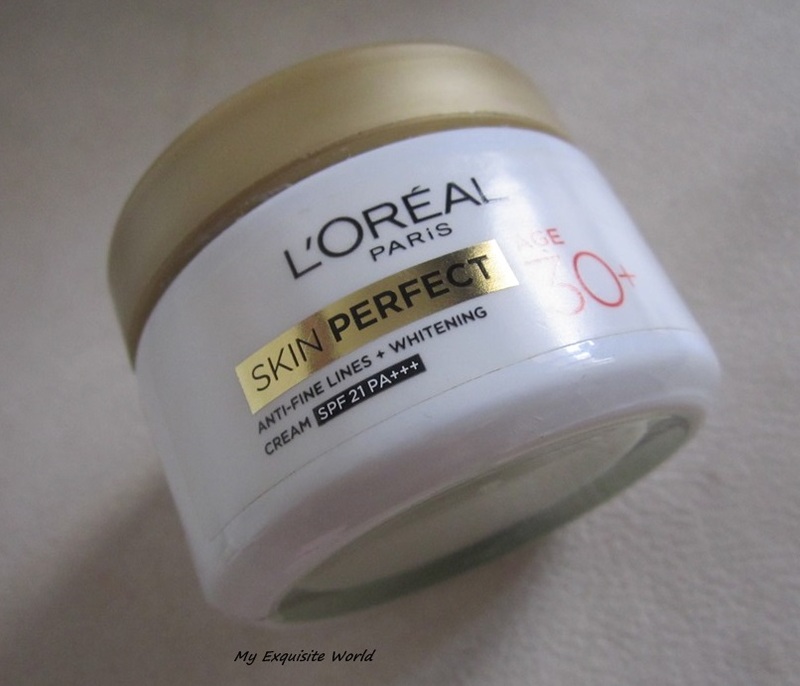 1)L’oreal Skin Perfect (30+) Day cream: This cream is light weight and provides a matte finish.I ha helped me a lot in evening out of the skin tone and has provided a subtle glow to my face,Thanks to this,I have stopped wearing foundation as this slightly blurs imperfections and is great for day wear.It has spf 21 PA+++.I was using KAYA sunscreen prior to this.I has to apply a cream over that.Also,the kaya one has spf 15 so I have stopped using that. 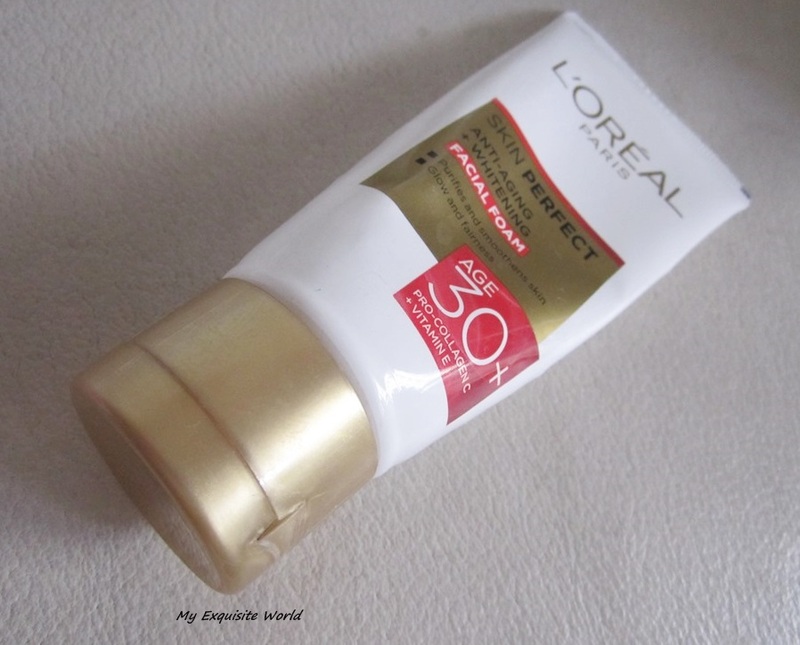 L’oreal Skin Perfect caters to both the needs of a sunscreen and day cream. 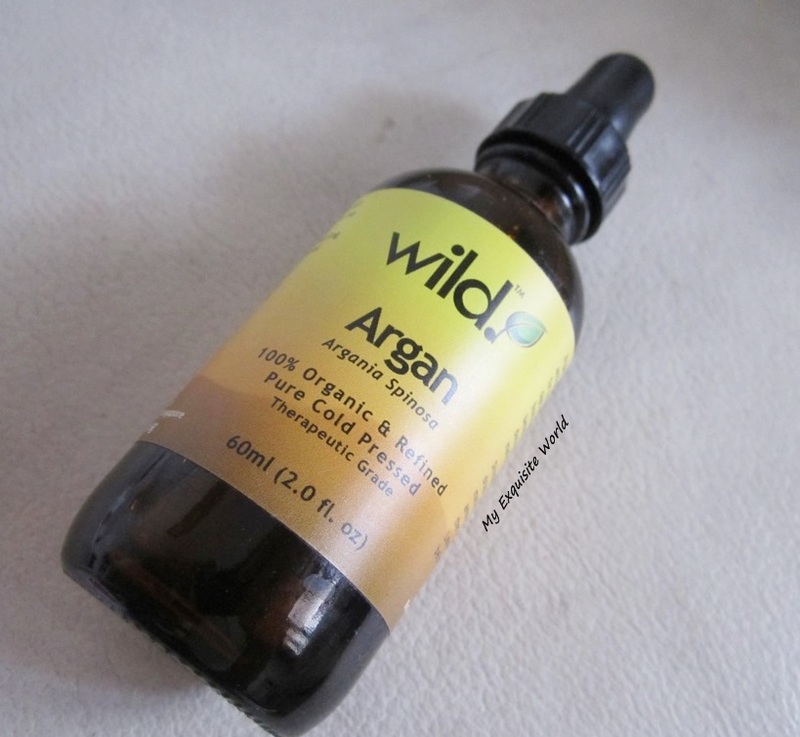 2)Wild (Argan Oil): I have been using this oil during day a well as during night.I mix it in my day cream(loreal skin perfect) and also in my night cream(pond age miracle) and it has shown tremendous results.My skin is soft,supple,the acne breakouts are very less.It has added a glow to my face. I usually add 2 drops of this in the cream.It blends really well without making my face oily.Even though I have combination/oily skin,this oil did not break me out.I tend to get dry patches on skin due to change in weather but this time,my in did not encounter such an issue. 3) L’oreal Skin Perfect Facial Foam: My go-to cleaner thee day.It makes my skin soft,smooth and takes away the dirt.Love it!! 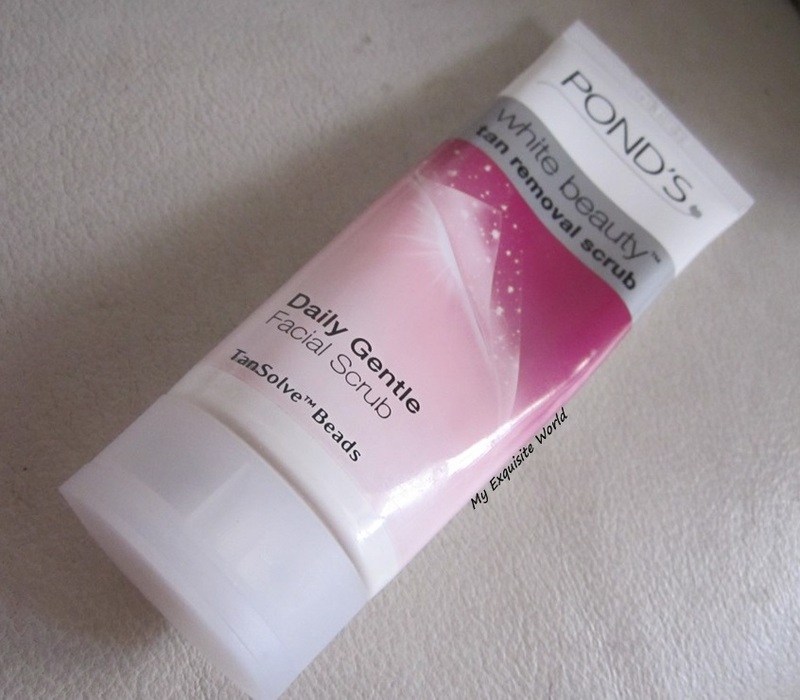 4)Pond’s White Beauty Tan Removal Scrub: This is cleaner + scrub in one and I use it after I come from Sun.It is very effective in removing Tan and clears out the skin very well.However,if over used,it can cause dryness so I use this only once. 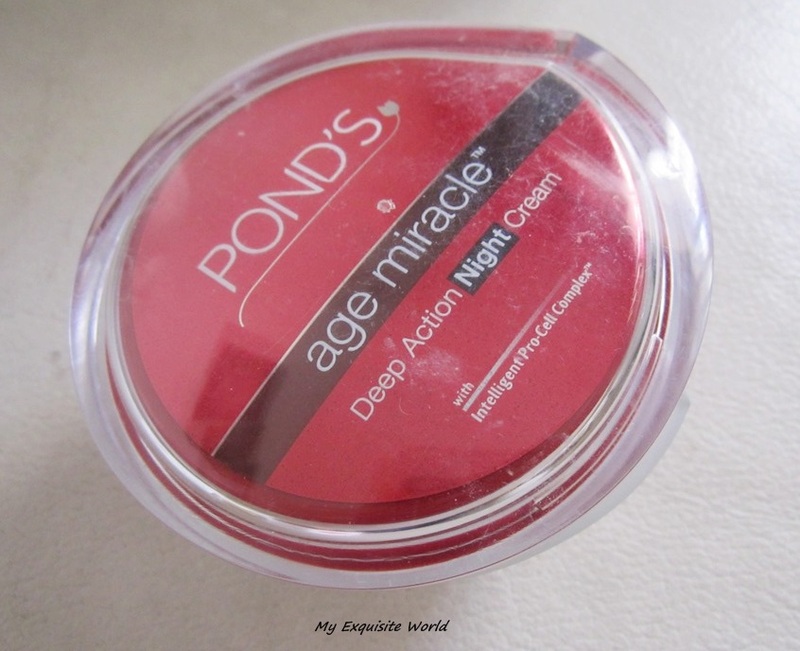 5)Pond’s Age Miracle Deep Action Night Cream: I use this along with the argan oil.It has improved the skin texture and I feel that it works quite fast on acne marks and pigmentation.I wake with a bright skin every morning. 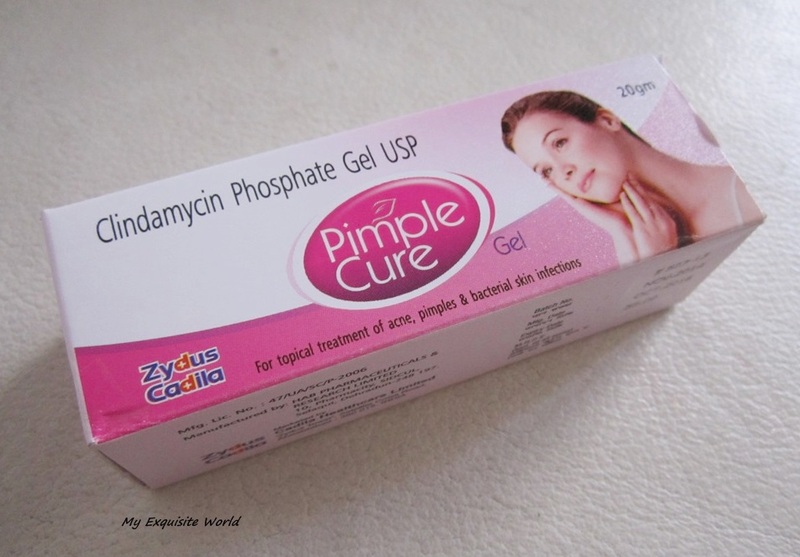 6) Pimple Cure: Now,this is one slight under rated but it works effectively on pimples,breakouts.My left cheek was full with acne and I started using this .At first,I used it all over my face and it started showing results within 3 days.Now,I use it as a spot treatment.This is a gel based cream. Hope this post was effective.Please note that everyone has different skin type.What suits me might not suit you !! 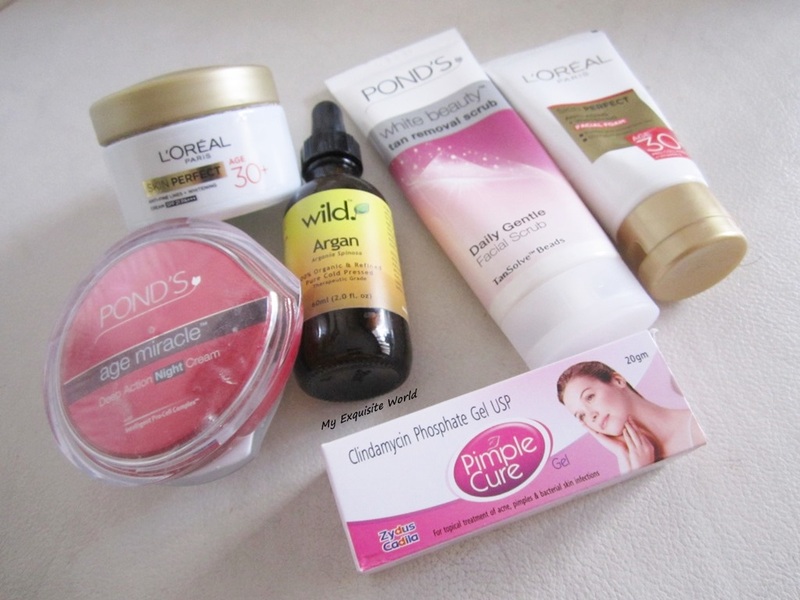 Current Night Skin Care Routine!! ~Neutrogena Fine Fairness Brightening Serum(Rs.699): I bought this serum on the recommendation of the S.A. at Neutrogena counter and I must say,it is a wonderful product.I basically bought this for my dull face and pigmentation at the sides of the face.The pigmentation isn’t fully gone but it is definitely reduced and my face looks much brighter and even.It has active retinol so I use this only at night. ~Clarins Lotus Face Treatment Oil(Rs.2,150):I don’t use this everyday,only when I has a super hectic day or I break out.Though,it is an Oil but it is really effective on pimples and long-term use can definitely help in reducing scars and marks.It is light weight and absorbs quickly.The oil is not at all greasy and whenever I use it,I do notice a subtle glow on my face the very next morning. 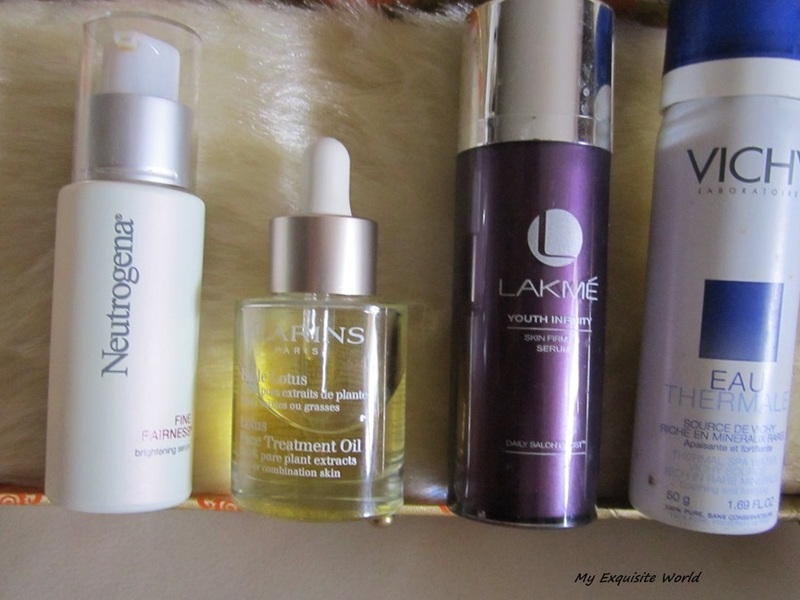 ~Lakme Youth Infinity Skin Firming Serum(Rs.899):I use this Serum everyday along with Neutrogena Brightening Serum.I started using this after a few days of starting Neutrogena .This has made my skin really soft and add a luminous glow.My skin looks much better an d even toned now. I love the fragrance too. ~Vichy Thermal Spa Water(Rs.650):This is basically to refresh my face and I spritz it after cleansing my face. I love the cooling sensation it provides. 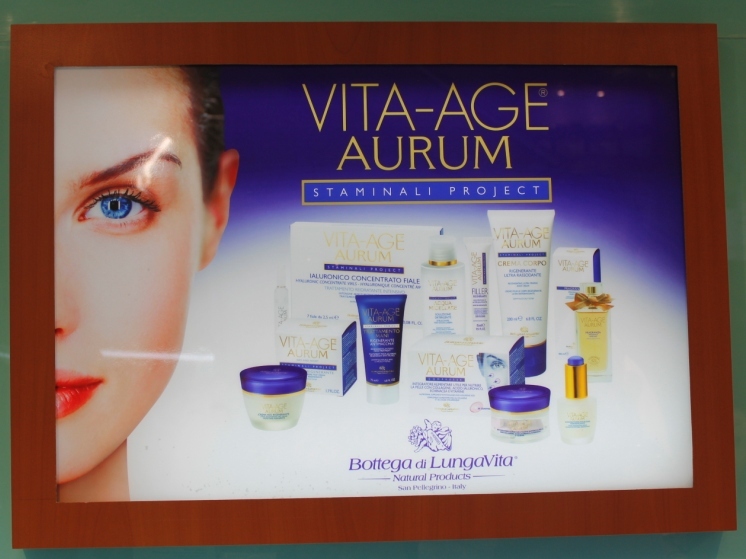 I do use an Eye cream on which I will be updating a full review. Hope you guys liked this post. What’s your skin care routine for bedtime?? ABOUT:Get a Salon-Like Clean-Up in three easy steps and flaunt that glow with the Lakmé Clean-Up Nourishing Glow range. First Cleanse with the face wash, then exfoliate with the scrub and finally nourish with the mask for a nourished, salon-like glow anywhere. PACKAGING:The packaging is regular with a red coloured squeezy tube and everything written in silver.It is travel friendly and sturdy but not very attractive. 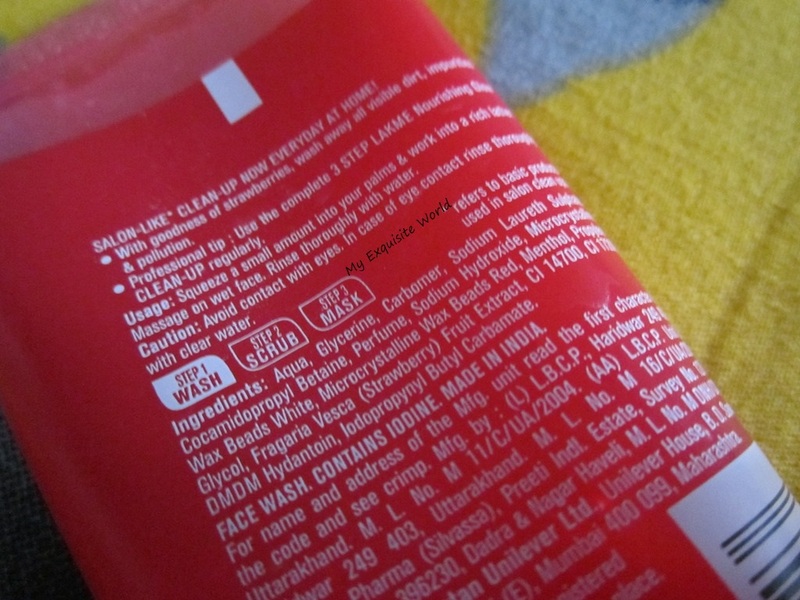 MY VIEWS:The face wash has a gel based consistency with small red beads that are very gentle on skin and almost dissolve as you lather the face wash.I really like the strawberry fragrance.It is not very harsh and did nit irritate my eyes. I like using it in morning for a fresher feel but it doesn’t give a squeaky clean feel to wash as with some face washes that are meant for oily skin.It does clean the face removing dirt and excessive oil but it leaves a subtle softness behind.I have been using all the 3 products since last month and I am very happy with the outcome. 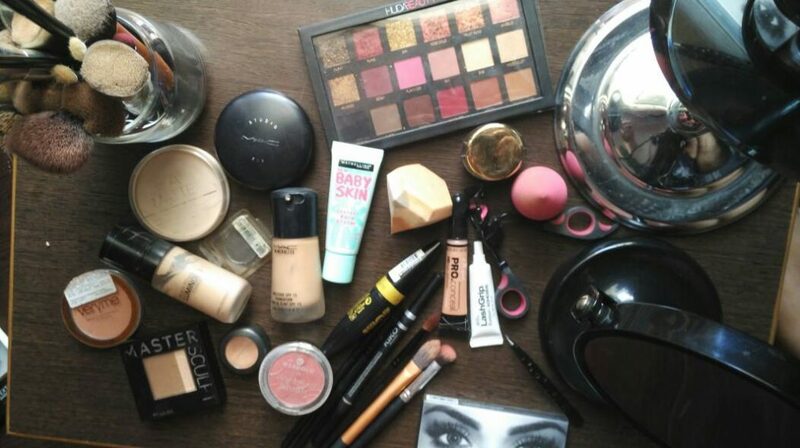 However,this range suited my combination skin but it did not suit my friend who has oily skin.So,it varies from person to person. 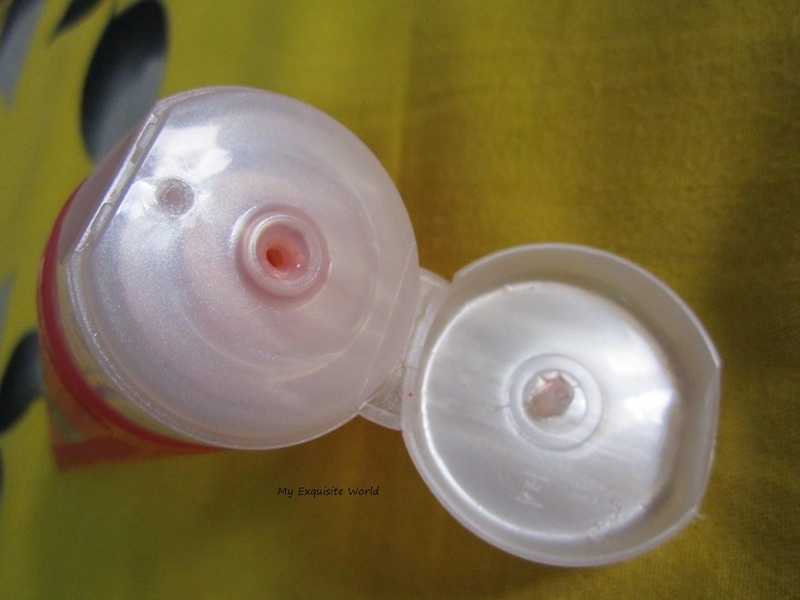 has strawberry fragrance which is very refreshing. removes dirt without making the skin dry. the wax beads present are very gentle . the packaging could be more attractive and decent. 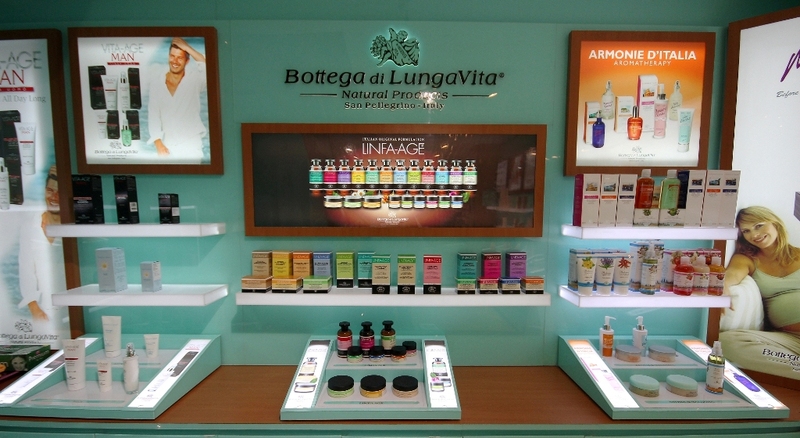 some may find the fragrance to be too overpowering. may break out oily skinned girls. RECOMMENDATION: This is more of a refreshing face wash than a necessity.It is gentle on my skin and leaves it soft.You can try the smaller version ie. 50gm for rs.80 and then decide.